Today is the vernal equinox, the first day of spring. Finally, spring has arrived! 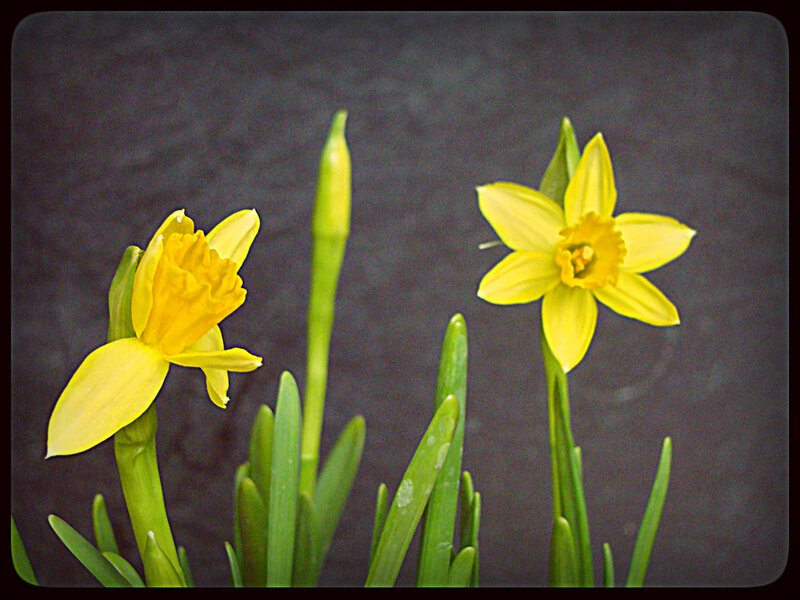 With perfect timing two of our Narcissus flowers opened this morning! This afternoon we went to a friends house and made some really simple bird feeders. They were so easy to make, we made some more once we got home! Cut several shapes out of the bread slices. Spread peanut butter on the cut shapes. Sprinkle seeds over the peanut butter and press gently so they stick. I simply placed our feeders around the garden, however you could make a very small hole in the bread and thread with string before you begin, so they can be hung up.